Miles Lang is a fifth-generation Ventura County business owner. He grew up in the Ojai and Ventura areas and completed his undergraduate degree at University of California, Santa Barbara. He was active in many local organizations as a youth and has been awarded honors of Eagle Scout by the Ventura County Council, Boy Scouts of America, and of Chevalier by the International Order of DeMolay. He is currently a member of the Sacred Heart Council #10067 of the Knights of Columbus. 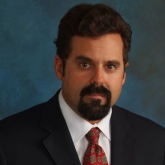 Miles attended Ventura College of Law and Pepperdine University School of Law, and has been an attorney since 1997. He is licensed to practice in all courts in California, the United States District Court for the Central District of California, and the Court of Appeals, Ninth Circuit. He has served as Judge Pro Tem for the Ventura County Superior Court since 2009. In addition to his Juris Doctor degree, he has earned a Certificate in Grant-Writing from Notre Dame University, Mendoza College of Business, and a Certificate in Dispute Resolution and Conflict Management from Pepperdine University. Good estate planning allows you to plan, preserve, and protect your assets for your use and use by your heirs. In today's world, elders and disabled persons are becoming increasingly dependant on public benefits to secure medical care, and even a small inheritance can disqualify a person from benefits including Medi-Cal. Proper planning may be able to preserve those benefits and prevent disqualification. Contact Bonaventure Law Group to help plan your course to ensure smooth sailing in the future. We offer a full range of estate planning, trust adminstrration, and probate services.